Hey, Plympton fans, guess what? I'll be making a rare appearance in L.A. next week, on Friday, January 30 at 8 pm, making a presentation of all of my new projects, sponsored by Trepany House at the Steve Allen Theater, located at 4773 Hollywood Blvd. I'm going to show brand-new clips from my upcoming animated feature with Jim Lujan, called "Revengeance" - it looks very cool. Then I'll show some of my newest shorts - like "Footprints" and my piece for "ABC's of Death" called "Head Games". I'll also be showing excerpts from my other work-in-progress feature, "Hitler's Folly". These clips will blow your mind. And if that's not enough, I'll present the world premiere of my new short, "The Gastronomic Shark". There will also be other cool surprises. So, if you live in the L.A. area or know someone who does, get on down to the Steve Allen Theater and come say hello. Hope to see you there. Damn! It happened again! I had a great short film on the Oscars short-list, and it wasn't nominated! What's my problem? I feel like the Susan Lucci of animation! A lot of people told me I had a great shot at a nomination this year, and of course, I never took their predictions seriously - people always want to make you feel good. But a number of Academy members told me that "Footprints" got the biggest laughs at the L.A. screening, so I thought that should count for something. Of course, the Academy rarely nominates funny films. 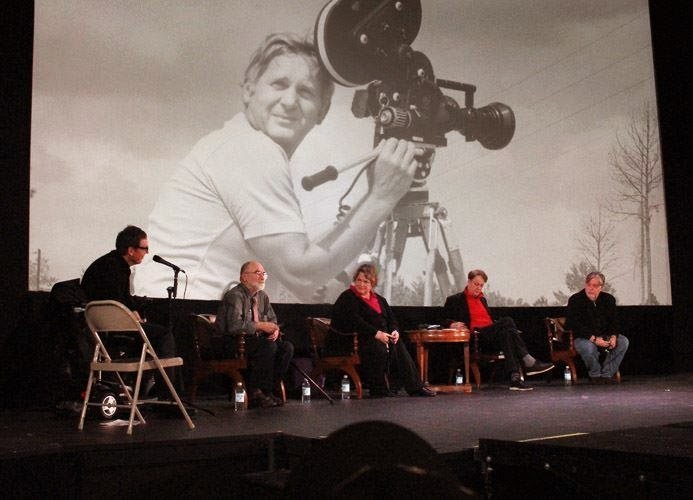 They tend to want to reward the films that are the most creative, emotional and pithy. So "gag" films don't usually make it. But I felt that "Footprints" was one of my most meaningful films - besides being funny, it has a message, albeit an elusive one. In the past, I've had other shortlisted films that I believed deserved to be nominated. 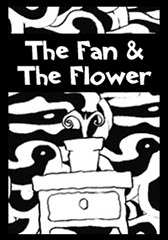 "The Fan and the Flower", written by Dan O'Shannon, was a gorgeous film that came close to a nom but didn't get one. 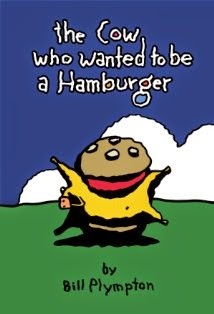 Also, I think "The Cow That Wanted To Be a Hamburger" should have gotten a nod, but it also failed to get one. 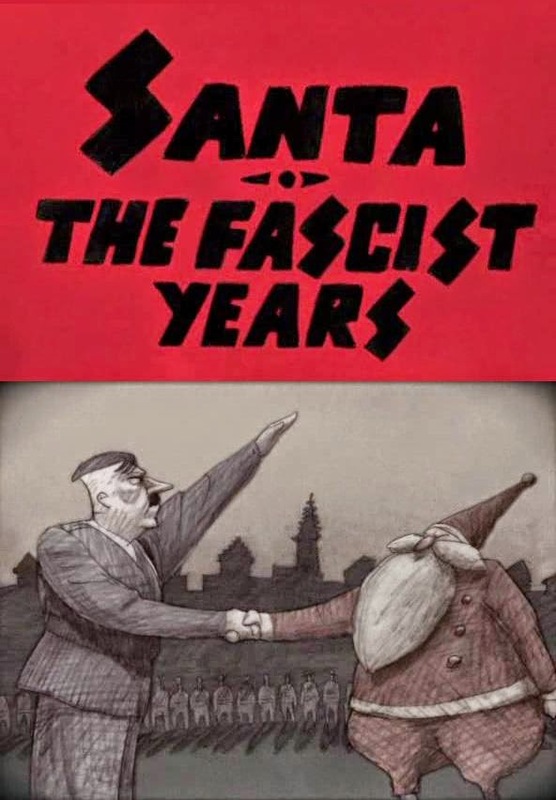 And my short called "Santa, the Fascist Years" was labeled by many people as a surefire Oscar winner. But because I failed to see the potential in the film, I released it online first, and that is a no-no for the Academy. So, after all this, why don't I just give up and stop worrying about the famed golden statuette? Because it's a life-changing event. Another nomination would add tremendous value to my work, whether I win or not. Besides, the Oscars are the best damn party in the world. So, how do I deal with this massive rejection? Do I go to bed and hide for weeks? No! Do I give up animation all together? Hell, no! Right now I'm putting all of my energy and creativity into my new animated short, "The Loneliest Stoplight", and it's going to be the one to win the coveted Oscar statue. Even if it doesn't, I still have to believe it will! 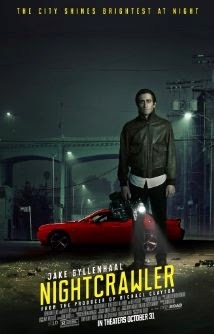 Another interesting film I saw, which was not an animated film, was "Nightcrawler", starring Jake Gyllenhaal and Rene Russo, written and directed by Dan Gilroy. A searing indictment of freelance news reporters, this is Jake Gyllenhaal at his best. I love these cynical "film noir" movies where everyone is evil. Plus, this film has a much deeper meaning, saying that our whole society loves violence - "if it bleeds, it leads", and local news often plays on that love of gore and suffering. I give the film, and Jake Gyllenhaal, an "A". Since I'm an Academy member, I get sent a lot of documentary films that are in competition for the Oscar. 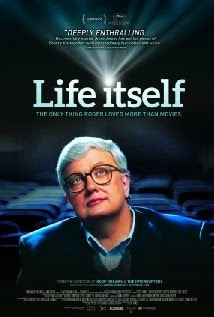 I just received the wonderful documentary "Life Itself", a chronicle of the life and tragic death of Roger Ebert, directed by the famed Steve James. 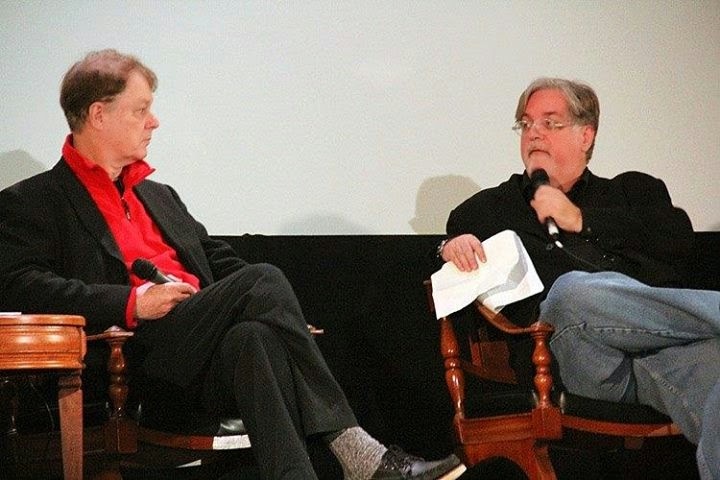 The first time I met Roger was in 1989, I believe, when I was at the Telluride Film Festival with my film "How to Kiss". A few friends and I were chatting with him on Main St. (I was listening, mostly). I was very nervous, naturally, because a good word from him could have ignited my career. So, I encouraged him to see my new short. 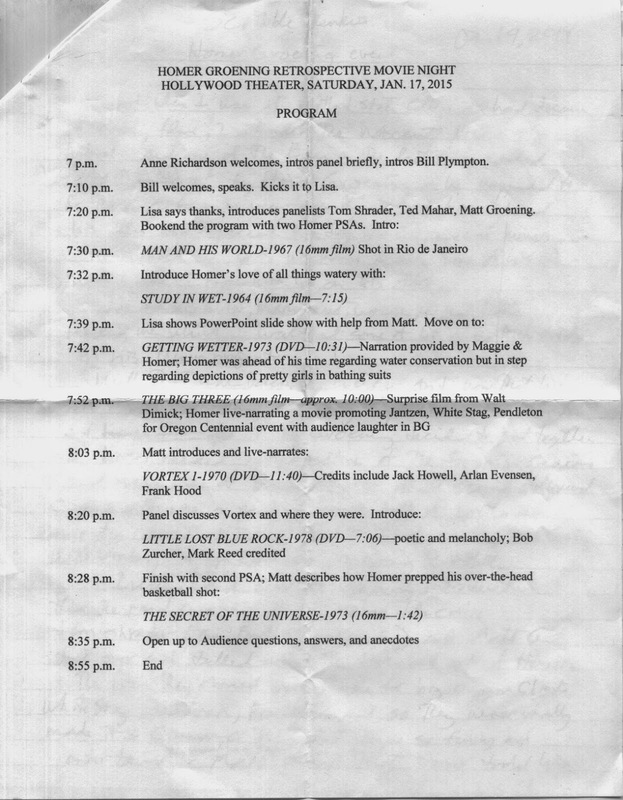 He then realized he was late for a screening and asked what time it was. Forgetting I had a drink in my hand, I raised my hand and rotated it to read my watch, naturally unloading my full drink all over my clothes. After having a good laugh at my expense, everyone soon scattered to their screenings. The next time I met up with him was at the Salt Lake City airport, at the end of the Sundance Film Festival. I had screened "Mutant Aliens" there, and of course since it was an adult animated feature, it got no coverage and no buys. I saw Roger sitting alone, reading in the gate area. Gathering all my courage (and hoping he'd forgotten the spilled drink episode) I walked over to him and asked him if he could look at my new animated feature film, and I handed him the DVD. You would have thought the film had Ebola all over it, because he refused to touch it, saying he had too many films to watch. Later, this refusal really pissed me off - here was a guy who supposedly championed the independent filmmaker and also supported animation. He was a huge supporter of Richard Linklater's animated film "Waking Life", which I thought, apart from the breakthrough computer techniques, really sucked. And again, when my friend Nina Paley created "Sita Sings the Blues", he became best friends with her, promising to do all he could to get the film distributed - which was practically impossible since Nina failed to get the rights to some of the wonderful music she used. So, maybe you can see why I have some bitter feelings about Mr. Ebert. At the time I was the only truly independent animator making a career out of my feature films, and he couldn't at least acknowledge my work. It's very frustrating. And now, he's gone and it's too late. Perhaps eventually I'll find a critic who can champion my career. By the way, I give the documentary "Life Itself" a B+.